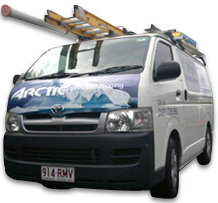 Arctic Air Conditioning & Refrigeration Pty Ltd is a locally owned company situated on the Sunshine Coast, Queensland, providing its residents and businesses with prompt, reliable and efficient service. We service and repair domestic and commercial air conditioning and refrigeration systems and can also tailor a preventative maintenance plan to suit your business needs ensuring that your systems are maintained and working at their optimum efficiency. Is regular air conditioner servicing important? Most manufacturer's recommend regular servicing of domestic air conditioning units, to maintain optimum efficiency. Poorly maintained systems can suffer significant losses in efficiency which results in poor performance, higher running costs and shortened life expectancy.